"Small room, but everything you need ! Water pressure perfect..."
Have a question for Lucky House Khaosan? "The staff are polite and helpful." "The free breakfast was so good and healthful." 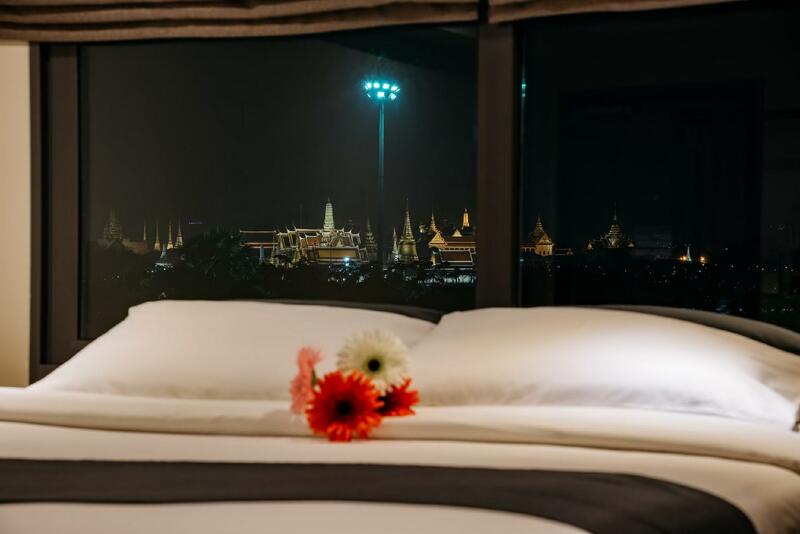 Whether you're a tourist or traveling on business, Lucky House is a great choice for accommodation when visiting Bangkok. From here, guests can enjoy easy access to all that the lively city has to offer. A haven of rest and relaxation, the hotel will offer total renewal just steps away from the city's numerous attractions such as Hong Kong Tailors, K.Boss Tailors, The Wall Street Tailor. Offering hotel guests superior services and a broad range of amenities, Lucky House is committed to ensuring that your stay is as comfortable as possible. Top features of the hotel include free Wi-Fi in all rooms, 24-hour front desk, Wi-Fi in public areas, laundry service, safety deposit boxes. Guests can choose from 40 rooms, all of which exude an atmosphere of total peace and harmony. Besides, the hotel's host of recreational offerings ensures you have plenty to do during your stay. 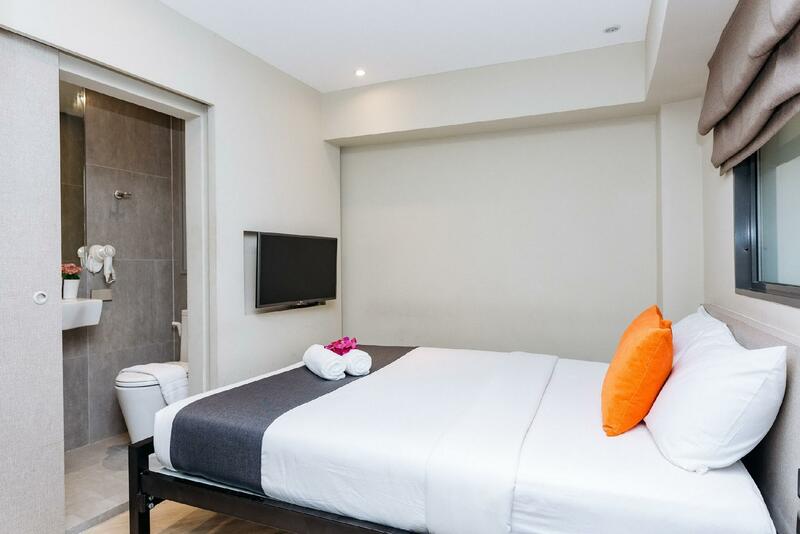 Lucky House is a smart choice for travelers to Bangkok, offering a relaxed and hassle-free stay every time. In fact, the room charge was inexpensive, so i did not hope so much for the guest house. But the location was so good, and the facility and cleaniness also was good. The free breakfast was so good and healthful. The front desk manager and all the staff in Lucky house are also very nice! I want to recommend it for anyone who want to travel in Bangkok nearby Khaosan Road with lower expense. Anyway, i will stay there once again if i visit Bangkok next time!!! A little hard to find as entrance is a flight of steps set back from the road under a building . Slightly scruffy but value for money , close enough to Ko San Rd but quiet enough too . Stayed several times would stay again . 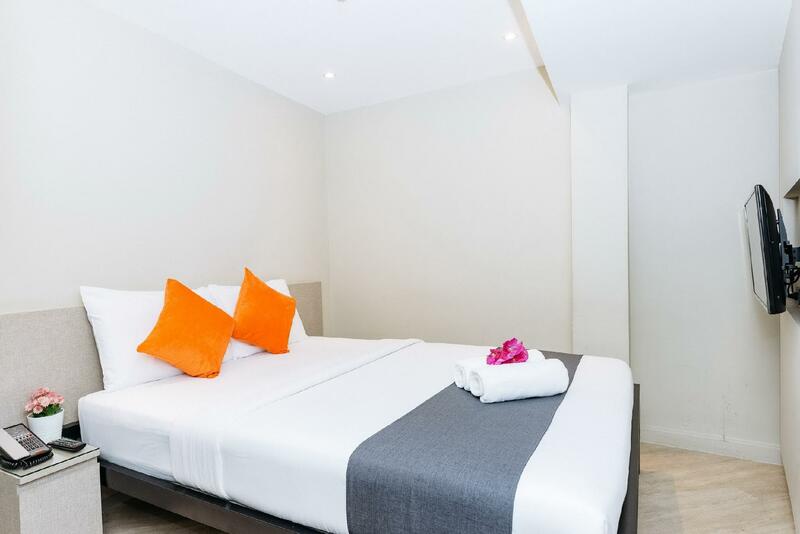 Lucky House is brilliantly located near Khao San Road, Bangkok. It's an economy hotel but is clean and comfortable. The only negative for older travellers is the steepness of the stairs. I enjoyed my short stay there (only 2 nights). I would stay again. It is difficult to give an accurate overall score because they do not offer food/dining as far as I know. 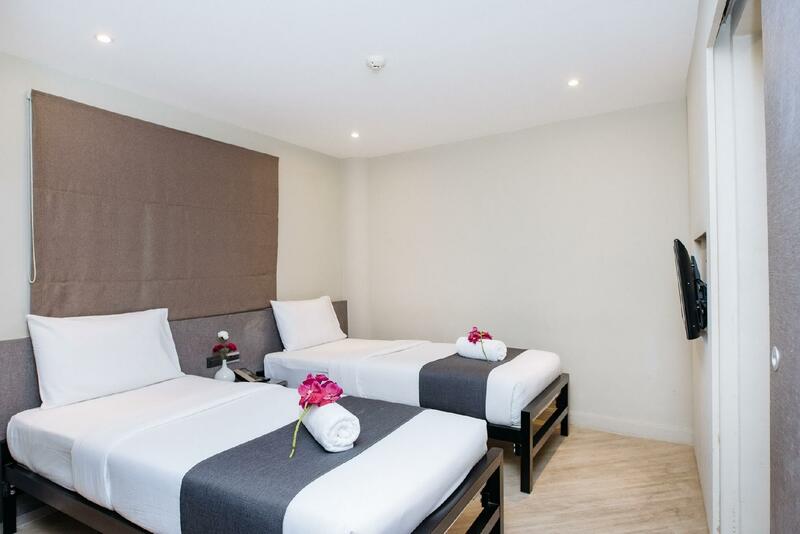 But it offers quiet rooms with reasonable price and good location.Coz Klao San Road could be noicy even in the midnight.7-11 and Boots shop are on the opposite of the guess house which could be your daily supply. Rooms can say small but clean and worth for it’s price. A little distance to Khao San Road and if you want to spend a night at there and wish to avoid noise, I’d like to recommend this place for a sound sleep. Excellent location! Just a few meters from Khao San Road but it seems a world away from the late night noise coming from Khao San. The staff are polite and helpful. The breakfast was good. The good. pretty nice location. clean hotel. The bad: Small room. The room "with window " do not except for a window.. I think it's a joke. 1. There is a window that can be opened. 2. The window is fade - you can't see anything through the window. So they charge you more for no window.. ( No thanks ). Conclusion - this is not a window. 3. The elevator - another joke. you need to go up to the reception with the elevator and each time you're going down to the ground floor you pass and stop through the lobby and the reception is going to see you. for security reason I guess but very annoy method. 4. expensive. 5. not recommended. After a dozen guest houses in Thailand this is the first place I would not take off my shoes inside. In fact its the first place that doesn't ASK you take off your shoes... At the price I had fairly low expectations to start and After they showed me the room I saw hair, dirt, smeared stuff all over the floor, plus blood-looking stains on the walls, so I asked for another room. They gave me keys to a similar room (slightly less disgusting) and said "this other room is good clean room so you pay 60bht more! 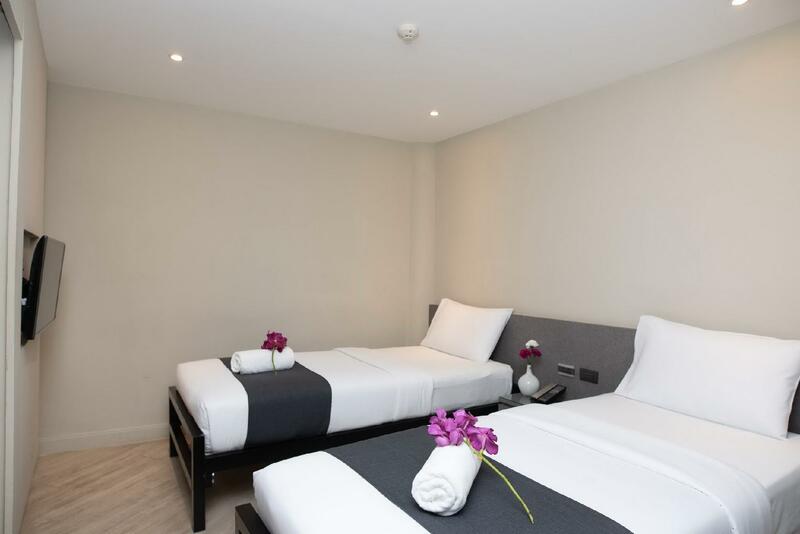 WHAT I have to pay more than the booking price on Agoda to get a cleaned room? Next they say no other rooms available they are full, so I ask to shorten my reservation so I can move to another hotel, and they say GO if you want but you must still pay for all nights reserved. Location was good, price was cheap for AC and reasonable size rooms, But be prepared for a filthy floor, and quite a bit of hair on the sheets, the kind of stuff that questions if they cleaned the room at all . IF you want cheap, AC AND above all else clean, we found At Home guest house near opposite end of KSR had smaller rooms at similar prices that were not quite perfect but were super clean. For the price I paid the services were above board. It's my second time in Thailand and I chose this place again. I stayed at two other places in Bangkok but comparatively Lucky house gets more points from me because the single room was more spacious and each room has its own bathroom. Thank you guys!! The room's size was quite good, but was not clean. The a/c was working fine, but we were able to smell mildew from AC. It was caused by no window, I think. Location excellent and room not so expensive. You have warm water in price. Only one socket to charge phone etc. Our room was not noisy due to no window. Friendly staff, wi-fi in room. To begin with a positive, staff were great here. Very friendly and helpful. We knew on booking that our room had no window but the smell was not pleasant at all, with visible mould on the walls. There was also building work going on which meant an early wake-up call, courtesy of hammers meeting concrete. Staff were very open about this from arrival though. Probably wouldn't stay again unless the mould was rectified. This place matched the price. Had a no window a/c room so it had a slightly musty smell which wasn't over powering and completely understandable (no window). The a/c worked great and the hot shower was super hot. Good for the price, easy location. 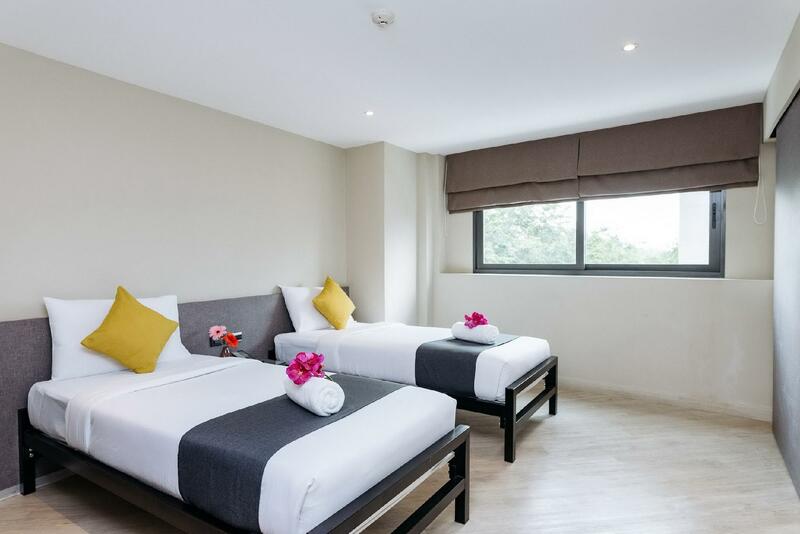 I stayed there with my husband for two days.its near khao San road and a few minutes walk to take buses to Siam square.very good location.and the price is quite low.staffs are helpful and friendly.they clean the room everyday.recommend it. worth for money, this hotel location is really near to khaosan road so it was really convenient to find places which sell foods; so many little shops around and also clubs. room condition was acceptable, clean enough. overall, nice stay. The room were very old. The staff were helpful. No-parkings Across 7-11 (is a plus++ for me) Near pubs and restaurants and Khaosan street 20 mins walk to Marble Temple (Grand Royal Temple) No elevators I wish the rooms could look stunning like the lobby. We arrived early in the morning, before 7am, and the staff at the front desk were very friendly and checked us in right away. Double room with ensuite was good, simple, A/C worked great. Great price for a couple, cheaper than paying for two dorm beds in a gross party hostel. Pretty quiet, but right next to Khao San Rd. so quite conveniently located. Bathroom was clean, water was hot, bed was comfortable. They have an elevator for your luggage so you don't have to carry it up the stairs. Overall, a great budget option! And reception is open 24hrs so we could check out early to get the airport shuttle. the location is opposite 7-eleven, thats good. These policy refused me a room when I showed up dripping in sweat and tired because my friend didn't have an id. My friend had a hospital card that another hotel gladly accepted, but not frowning and uncompromising staff at Lucky House who just play on their cellphones all day. I've been traveling Thailand for 4 years and never has a hotel been so... . Sorry, I cannot think of a more accurate word that that. The hotel os very clean, 1 min walk to khaosan rd and private bathroom is the most! We booked for 4 days and end up staying 5. The hotel is very clean, including bedroom, bathroom and commom areas. It is really close to khaosan rd but far enough for not hearing all the house from the street. Their reception is 24h and staff is always friendly. It is cheaper to book online and has the best value we could see in this area. Would recommend it to all my friends and family!